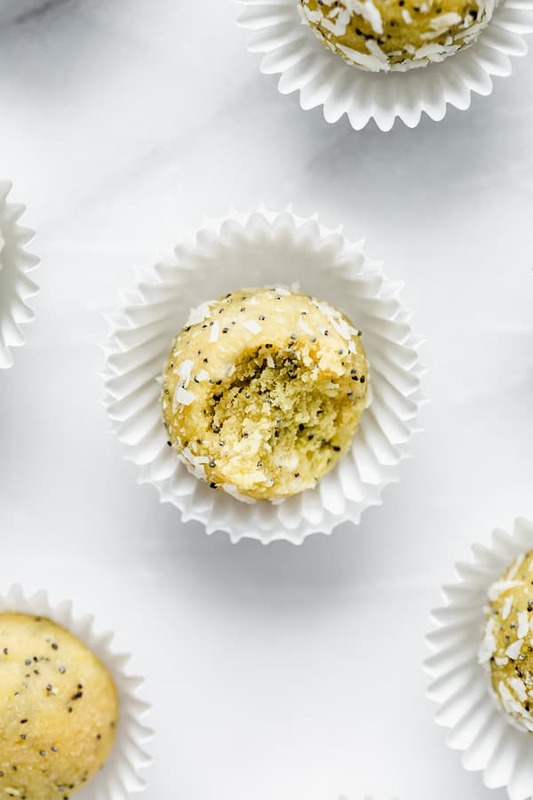 These lemon poppyseed bliss balls are a healthy treat that are easy to make and require no food processor! 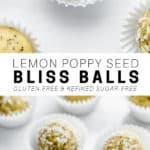 If I could have any healthy treat on hand at all times, it would be these lemon poppy seed bliss balls. But seriously, if you’re looking for a healthy snack for that 3pm slump, or a healthy dessert alternative, this recipe is a great option. 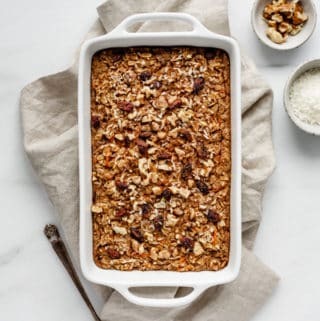 It’s made with almond flour and coconut flour so it’s completely grain-free, and uses brown rice syrup as a sweetener. 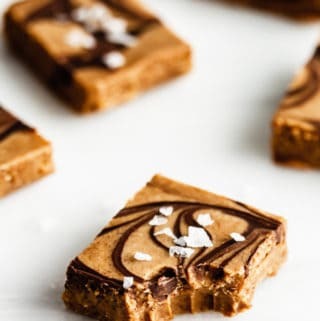 These will not only satisfy your sweet tooth but are filled with protein and healthy fats to keep you full! Call em bliss balls, call em energy balls, call em energy bites…call em whatever you like. 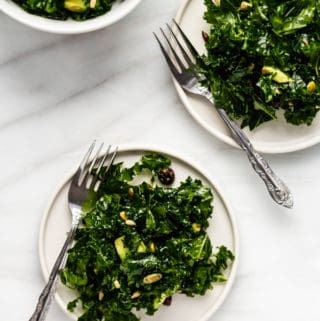 Whatever you want to call them these babies are quick to make, healthy, and totally delicious. So what are bliss balls exactly? They’re basically a raw treat usually made with an assortment of nuts, oats, dried fruits, nut butter and sticky sweeteners. They’re then mixed together and shaped into bite-sized balls for a quick and healthy snack or dessert. Bliss balls are often made with dates or dried fruits as a binder and usually require a food processor to make. 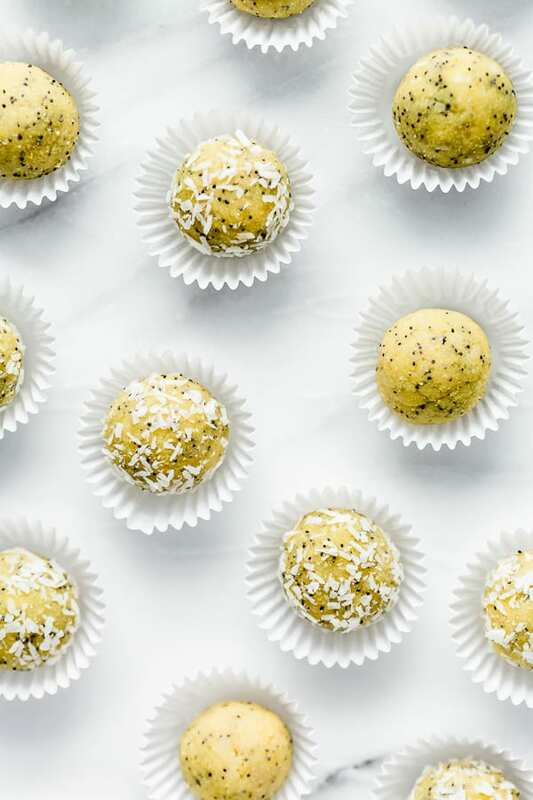 But for today’s recipe, all you’ll need is a bowl and a spoon to which up a batch of these lemon poppyseed bliss balls! 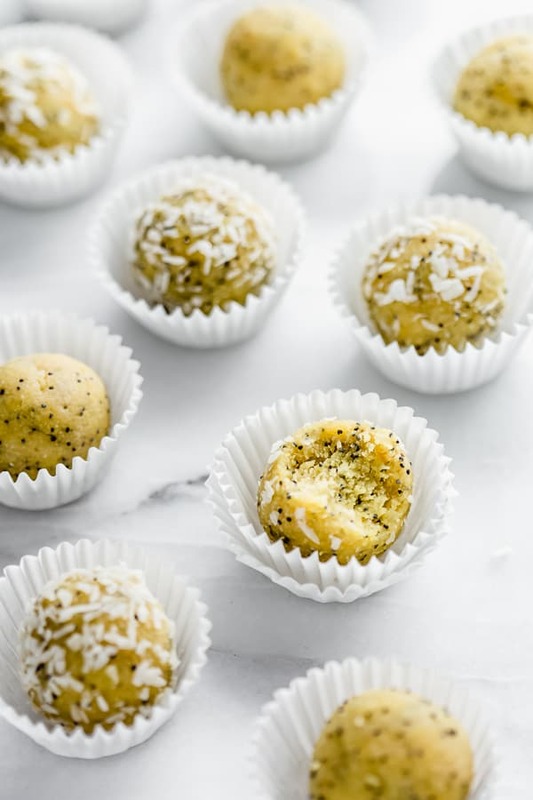 These lemon poppy seed bliss balls are made with a base of coconut butter. If you can’t find coconut butter, you can use coconut oil as a substitute. These bliss balls are completely grain-free, and don’t require any dried fruit to bind them together. The dough binds together using brown rice syrup (or any other sticky syrup) and coconut butter. The dough should be easily form into balls when you roll it in your hands without falling apart. If you find your dough is a little crumbly when you press it between your fingers, it means you need to add some more liquid to help it stick. Simply add an extra tbsp of brown rice syrup and a tad more melted coconut butter. These bliss balls need to be stored in the fridge, and can also be frozen. 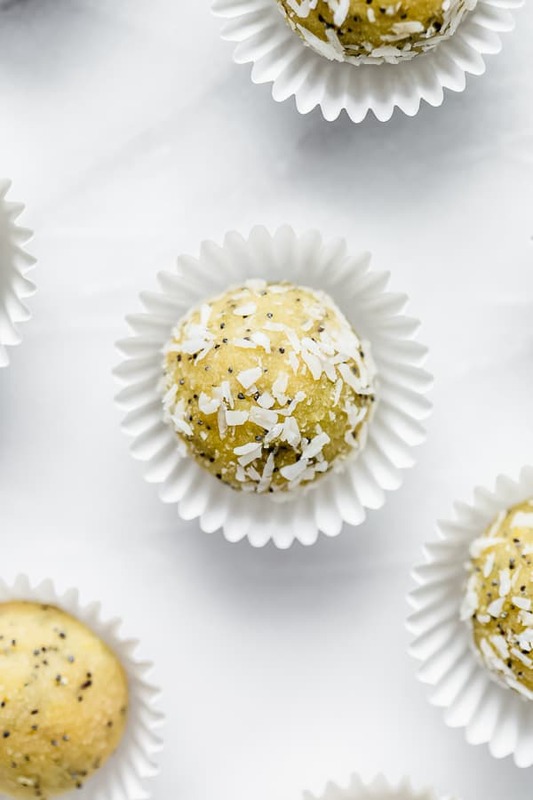 These bliss balls are SO tasty and you don’t need a food processor to make them! Mix the coconut butter, brown rice syrup, lemon juice and almond extract together in a bowl. Next, add in the dry ingredients and mix until well combined. The dough should stick together when you roll it in your hands. If the dough is crumbly, add a bit more melted coconut butter and brown rice syrup. Use a small cookie scoop or a spoon to scoop out the dough and roll into balls using your hands. Place in the fridge for at least 1 hour to firm up before eating. If you’re having trouble moulding your dough into balls add 1 tbsp of almond milk or water to your dough. 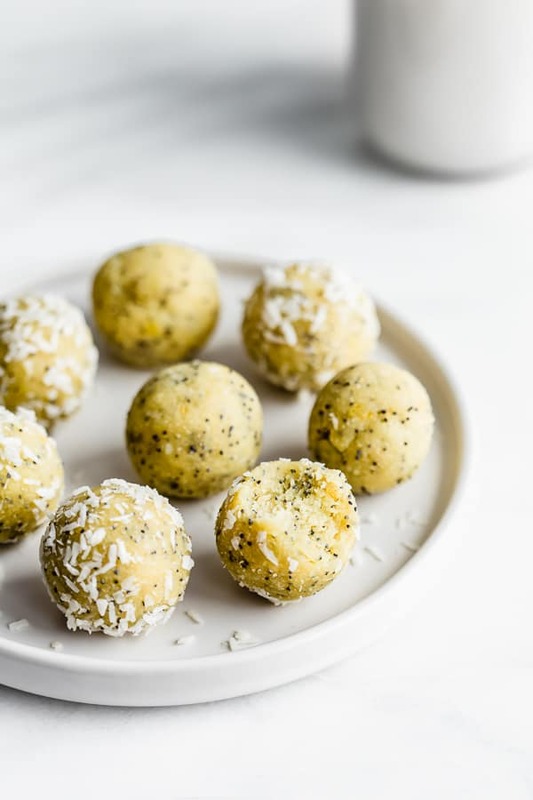 Add a pinch of Tumeric to make your bliss balls more vibrant yellow! 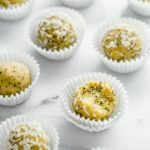 Can’t wait to make these bliss balls! I love having these around for a snack with my afternoon coffee, and the lemon poppy seed is a such a great flavor for spring! 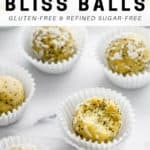 I’m new to “bliss balls”. Do you have to use coconut and almond flour or would regular flour be sufficient? 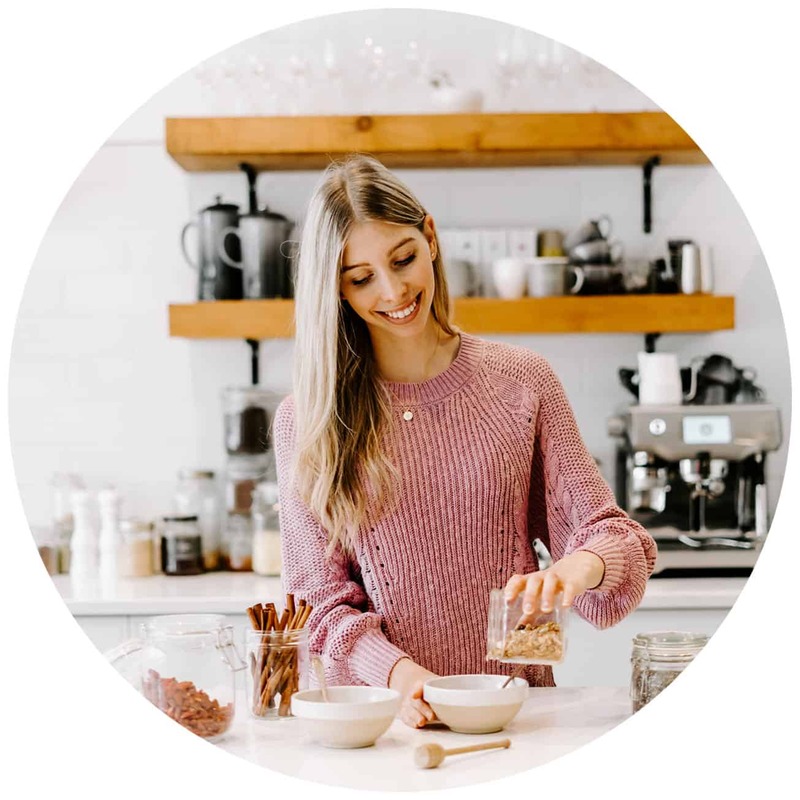 Hi Thalia, for this recipe you’ll want to use almond flour. Regular flour is not generally recommended to eat raw and this is a no-bake recipe.